Facilities - Southern Bone & Joint Specialists, P.A. Southern Bone and Joint Specialists provides easy access for your orthopedic needs including its own outpatient surgery center, physical therapy and the latest, most advanced Open MRI in our state-of-the-art center. Our friendly, professional staff is expertly trained in the administration of the latest in MRI technology, providing the highest quality imagining resolution. Our Oasis Open MRI and our extremity MRI allow us to reduce typical scan time. Our Oasis, 1.2T, is the most powerful whole body Open MR magnet available and provides ultimate patient comfort and maximum image quality. To ensure your experience with us is as pleasant as possible, a qualified technologist will offer you headphones to listen to music (you can even bring your own CD) during the exam. In addition, the technologist will stay in touch with you throughout the procedure via a two-way intercom system. So you’ll always have a sense of assurance and control. Patients are welcome to have a family member or friend stay in the room while they are having their scan. SBJ also offered the first extremity magnetic resonance imaging (MRI) in the area. This system provides consistently reliable, high image quality scanning of the hand, wrist, elbow, foot, ankle and knee. Patients will benefit from a totally nonclaustrophobic, quiet, quick, comfortable and convenient experience. The new extremity MRI examination time averages approximately 30 minutes. Patients will be able to have family members in the room just like the Oasis Open MRI unit. The unit is small and completely open. The only parts of the body that need to enter the magnet are the parts needing to be imaged. Instead of laying on a gurney, they are positioned in an ergonomically designed, movable chair. For your convenience, MRI Services is available for appointments Monday-Saturday, 7 a.m. to midnight. To make an appointment, call 601-554-7500. We have expanded business hours to make it easy to schedule a time that fits your needs. How does MRI differ from other diagnostic procedures like conventional x-ray, CT scanning or nuclear medicine studies? All diagnostic imaging procedures provide information about he form and/or function of the body. MR images typically contain greater information about the body’s soft tissue than other procedures. This means that MRI can provide highly detailed anatomical images of the body. Additionally, the trained medical professionals responsible for aquiring MRI can easily produce MR images with varying contrast, showing many different planes of the body with functional information such as blood flow. In contrast to x-ray, CT scanning and nuclear medicine, MRI provides diagnostic information without the use of radiation or radioactive substances. MRI is a non-invasive, and there are no known side or after effects. MRI uses a computer and the physical properties of magnetic fields and radio waves to generate images of the soft tissues within the body. MRI signals from the body are generated using a safe magnetic field in combination with radio waves of a specific frequency. The MRI signals are detected and converted to a form which the computer can understand. The computer processes MRI signals from the body to form MR images. Different tissue characteristics are revealed through this process and thereby translated into different contrast levels on the MR images. The trained physician can view the MR images and form a clinical diagnosis. 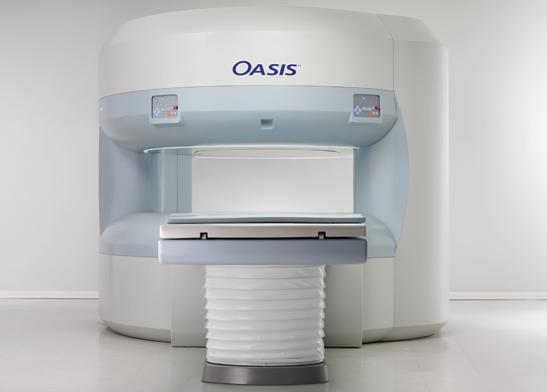 What is the weight limit for the Oasis MRI? Southern Bone and Joint Specialists, P.A. is pleased to offer our patients and members of the surrounding community a full-service, in-house pharmacy at our main office location, 3688 Veterans Memorial Dr. in Hattiesburg. SBJS Pharmacy provides convenient and fast prescription refills for anyone, including patients of Southern Bone and Joint and the general public. Any prescription can be filled at our pharmacy – not just typical orthopedic medications. Prescriptions may be received either by e-prescribe, fax or walk-ins. We can call another pharmacy to have your prescription transferred, as well as call your physician to request a refill. We accept most major insurance plans, including Medicare. Hours: 8 a.m.-6 p.m., Monday through Thursday. 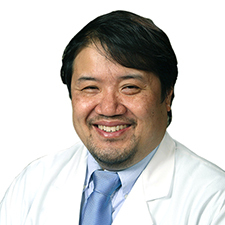 Friday 8 a.m.-5 p.m.
Tommy Woo, a native of Isola, is a graduate of University of Mississippi School of Pharmacy. Tommy has over 25 years of experience in the community retail setting as well as critical care and long term care. Patients and their families enjoy the personal care they receive in a relaxed, friendly environment thus creating a patient-doctor friendly atmosphere. Experienced, well trained staff and full time anesthesiologists are an integral part of ASCs. The convenience of decreased time spent waiting, early discharge, lower costs and decreased risk of nosocomial infections are positive aspects of these centers. Technological advances have greatly improved surgical procedures. Family involvement and detailed instructions for post-op care, enable the patient to return to the highest level of pre-procedure activity possible. This team approach reduces anxiety and promotes well-being and decreases patient dependency. WE ASK THAT YOU LEAVE ALL JEWELRY, MONEY, AND OTHER VALUABLES AT HOME. PLEASE DO NOT WEAR MAKEUP, NAIL POLISH OR JEWELRY TO THE SURGERY CENTER. PLEASE DO NOT EAT OR DRINK AFTER MIDNIGHT ON THE DAY BEFORE SURGERY. BE SURE TO BRING ALL MEDICATIONS AND INSURANCE INFORMATION TO THE SURGERY CENTER ON THE DAY OF SURGERY. YOU WILL NEED TO HAVE RELIABLE TRANSPORTATION TO TAKE YOU HOME. YOU WILL NOT BE ABLE TO DRIVE YOURSELF HOME AFTER SURGERY. MAKE SURE THAT YOU TAKE THE PRE-OP KIT MEDICATIONS WITH WATER AS INSTRUCTED. Southern Bone and Joint Specialists, P.A. and Forrest General Hospital are proud to announce the opening of The Orthopedic Institute, 27 Southern Pointe Parkway, in Hattiesburg. The Orthopedic Institute includes 30-licensed orthopedic beds, six orthopedic operating rooms, pre-operative and recovery rooms, as well as support services such as physical therapy, laboratory and diagnostic imaging services. 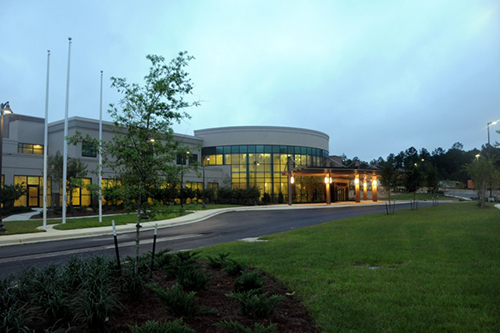 With all of these services housed under one roof, this 74,000-square-foot facility, will be a one-stop location for orthopedic care for South Mississippi. The Orthopedic Institute, a $30 million new construction project, offers expanded space, easy acess to staff members and small details that make recovery easier. SBJ physicians gave their input on the comfortable custom-designed patient rooms with larger doors, larger restrooms and assistive devices to meet orthopedic patient’s special needs. The physicians and staff also helped design the 10-bed Post Anesthesia Care Unit (PACU) and the six 625-square-foot operating rooms. The patient rooms accommodate the special equipment for orthopedic patients such as walkers and other assistance devices including special “joint chairs” that are used to move patients from one area to another during their recovery. Joint replacement patients will participate in Joint Camp that provides individualized and group therapy sessions to get them on the road to recovery. The Orthopedic Institute will combine the latest technology with highly trained physicians and caring staff to offer services that match the highest levels of orthopedic care delivered across the country. All staff members will be trained to focus on orthopedic patients. These specialized skills and knowledge should lead to superior patient care, increased safety, quicker recoveries and enhanced patient satisfaction. The Orthopedic Institute relocated 30 existing orthopedic beds from Forrest General’s main campus to the new site on the campus of Southern Bone and Joint Specialists that includes offices for orthopedic surgeons, MRI Imaging and Southern Surgery Center, an outpatient ambulatory surgery center.